The 800 or so who attended last year’s “Hi Neighbor!” event included “newbies” seeking information about their new community. Many other residents came to mingle and re-acquaint themselves with all the activity choices. This year’s event is Nov. 2, from 6:30 to 8:30 p.m., at Community Hall on the South Campus. With new people moving into the area at a steady clip, the Sun City Center Community Association is ready to tell them about all the activities that are available to them. They have all been personally invited to the annual “Hi Neighbor!” event on Nov. 2, from 6:30 to 8:30 p.m. at the SCC Community Hall, 1910 Pebble Beach Blvd. S. This event is a CA tradition — the first one was held 17 years ago. 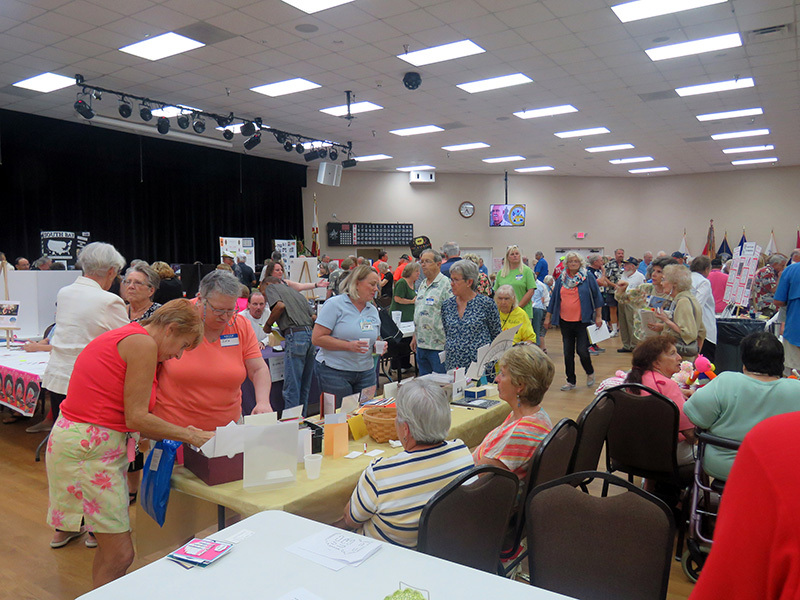 “Gathering our various groups together in one place is a great way to get information out, especially for new residents,” said organizer Janet Ditmore. “It is amazing how many people buy in Sun City Center but have no idea of all the things we have to offer.” She said this year is going to be the biggest ever, with representatives from 82 of Sun City Center’s 150-plus clubs there to talk about their organizations’ activities. In addition, 14 organizations such as the SCC Emergency Squad, the Security Patrol and the History Society will be on hand with information about their services. Ditmore sends out a big thank you to all those helping and to Aston Gardens that is again providing the free “big cookies” that are so popular.